Where is Northwestern’s international student population from? 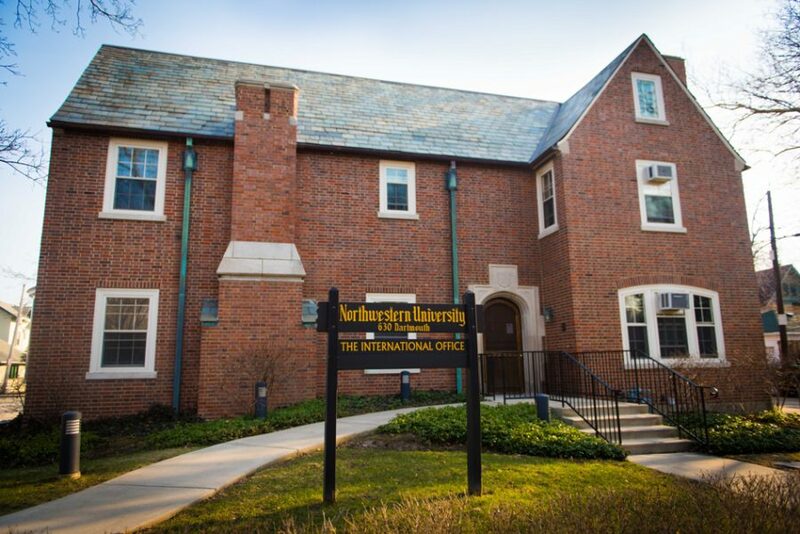 Northwestern’s International Office, 630 Dartmouth Pl. Between graduate and undergraduate students, more than 16,000 people attend Northwestern every year. Often, over 10 percent of that population comes from outside the United States. The Daily’s map shows where NU’s international students traveled from in the years between 2010 and 2017. Hover over a country’s dot to view how many students from that country attended NU each year. The raw data for this data visualization project is accessible through the Northwestern International Office, and some of the data is also available at the office’s ISSUU page. Editor’s note: The software misplaced the Dominican Republic and the Republic of South Africa on the initial maps. For these countries’ data, The Daily used the capitals — Santo Domingo and Cape Town, respectively — as center points, but it is likely that students came from throughout the countries rather than just those two cities.